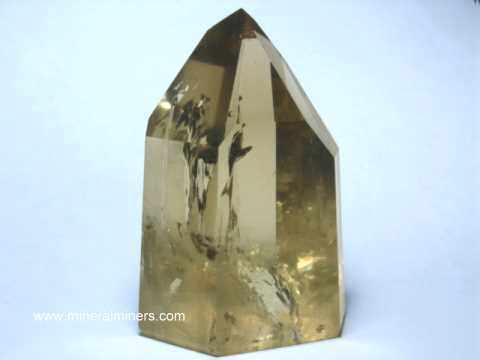 Citrine Crystal habit: Macroscopic crystals occur as horizontally striated hexagonal prisms terminated by a combination of positive and negative rhombohedrons forming six sided pyramids. Citrine also occurs as drusy masses with only the rhombohedral terminations showing. Citrine can also be massive. Citrine is a macrocrystalline variety of the mineral Quartz (SiO2). Quartz is the most abundant single mineral on earth. It makes up about 12% of the earth's crust, occurring in a very wide variety of metamorphic, igneous and sedimentary rocks. Some of the macrocrystalline quartz varieties are: Amethyst, Ametrine, Cat's-eye Quartz, Citrine, Phantom Quartz, Rock Crystal, Rose Quartz, Rutilated Quartz and Smoky Quartz. Blue Aventurine Quartz & Green Aventurine Quartz are actually quartzites (quartzite is a rock, not a mineral) composed essentially of interlocking macrocrystalline quartz grains with disseminated grains of other color imparting minerals. 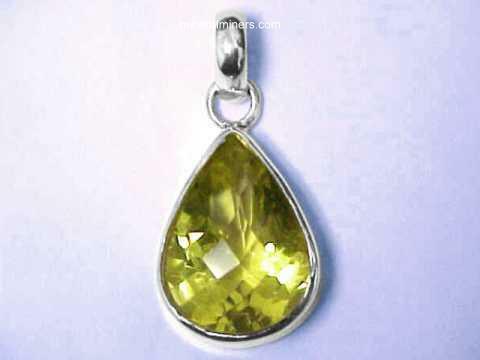 Citrine is less common in nature than amethyst, and it has the same basic geologic occurance. Citrine has been found in siliceous volcanics, occurring as macroscopic crystals and drusy coverings inside of agate lined amygdaloidal cavities or vugs, often forming geodes. Citrine also occurs in quartz veins. The color of citrine is due to trace amounts (approximately 40 parts per million) of iron (Fe3+) impurities in the crystal structure of quartz. The difference between citrine and amethyst is only the oxidation state of the iron impurities present in the quartz. Subjecting amethyst to heat will reduce the oxidation state of the iron impurities in the quartz structure thereby causing amethyst's purple color to fade and become yellow to reddish-orange (citrine), green, or colorless depending on the site and original oxidation state of the iron impurities present and depending on the amount and duration of the heat applied. The purple color of amethyst usually can be regained by irradiation which re-oxidizes the iron impurities. This irradiation can be done by synthetic means, or it can occur in nature by radioactive decay of nearby radioactive minerals. In most cases this is a reversible process, however excessive heating may change the distribution of the iron impurities at the different sites within the quartz structure making it impossible to convert citrine back to amethyst by subsequent irradiation. The heating process can occur naturally or synthetically. At the present time, it is not possible to determine whether or not an amethyst or a citrine was synthetically irradiated or synthetically heated. Citrine is recognized by its color, hardness, crystal habit, occurance, glassy luster, conchoidal fracture and lack of cleavage. 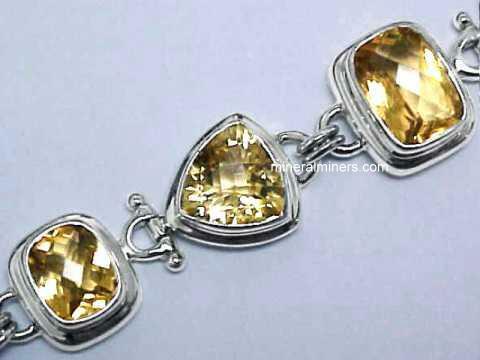 Citrine has been used as gemstones and other ornamental objects for thousands of years. In most early references it was often confused with topaz. 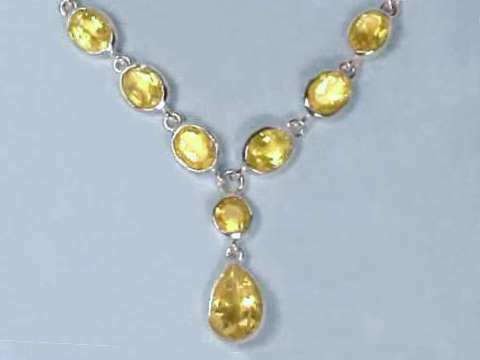 The name citrine comes from the old French word citrin which means yellow. 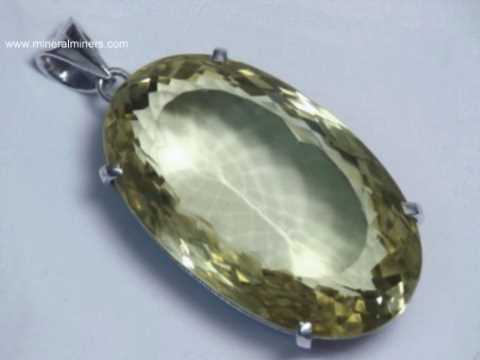 There has been much confusion between citrine and topaz, and citrine has previously been known as topaz, topaz-quartz, madeira topaz, Spanish topaz and Saxon Topaz, as well as by other names. The astrological signs of citrine are Gemini, Aries, Libra and Leo. Holding citrine crystals or wearing citrine jewelry is said to be particularly usefull in stimulating one's mental capacities, enhancing intuition & creativity and bolstering one's self-confidence. It is also said to give emotional control while making one more alert. 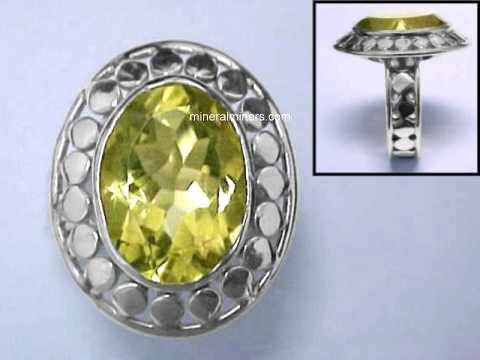 Wearing a citrine ring or other citrine jewelry item is also said to be very helpfull in assisting one to acquire and maintain wealth. Citrine is said to be usefull in helping to remove toxins from the body and to treat muscular disorders, and to help stimulate healing in general. It also is said to have been used extensively in treating a number of other disorders including those of the heart, liver, kidneys and digestive system. Citrine is also said to help provide relief from the effects of radiation exposure, as well as to facilitate absorption of antioxidants. 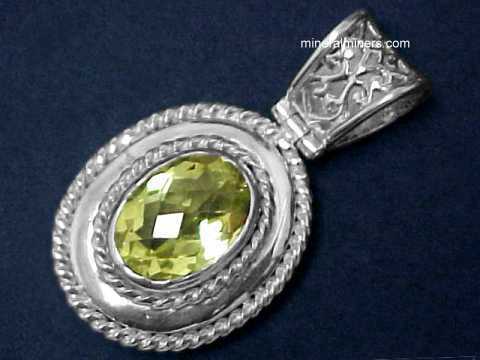 We do have a lare inventory of natural color citrines in stock. Some of our rare quality citrine mineral specimens and citrine crystals also have gem-grade areas inside and can be used as superior grade citrine lapidary rough. This is the end of our Citrine Factsheet and Information page.